A last meeting with LCTiM, celebrating its work with speaker John Battle. Thursday 9th July 7pm at LCI. 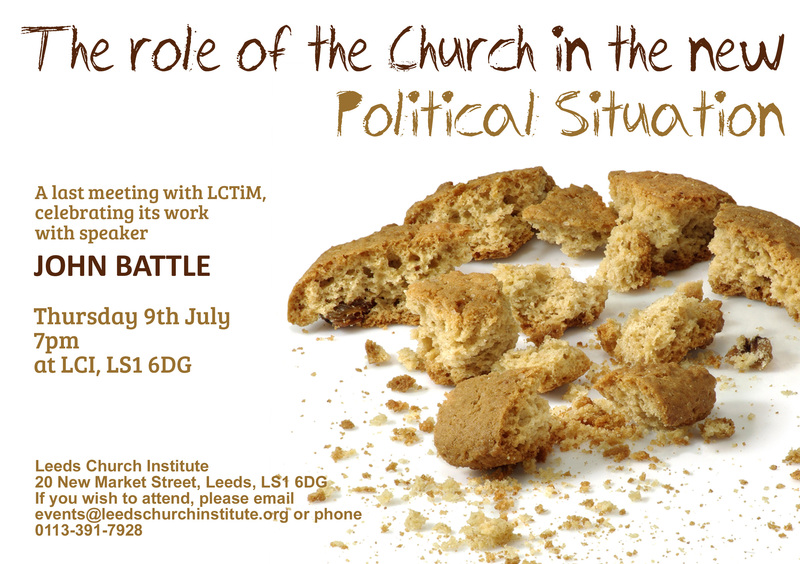 Please email events@leedschurchinstitute.org or phone 0113 391 7928 if you wish to attend.